Attribution, i.e. the systematic ascription of causes and effects in situations of failure or success, has so far received little attention in HCI research. In this paper we investigate specific computer-related attribution styles by means of a diary study and an online survey. 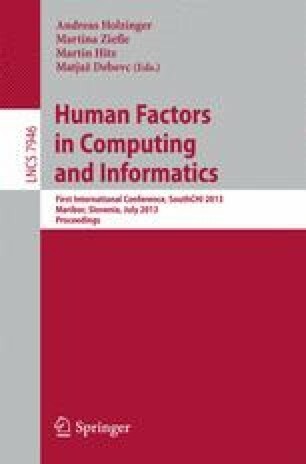 By using cluster analysis we developed a typology of nine distinct attribution styles that come into effect in success or failure situations when using computers. Also, we were able to distinguish attribution styles that can be assumed to be favorable or unfavorable regarding computer mastery. Methodical issues in computer-related attribution research and implications for research and practice are discussed.